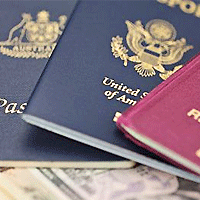 We can manage all your requirements related to passports and Visas at a very affordable fee. We are a Nagpur-based travel company and offer start-to finish Passport & Visa Services to clients. We arrange the application forms and also provide step-by-step guidance for filling the details. We take appointments, get the supporting documents verified and also submit the application forms at our own end. We also give guidance to the clients for the Visa interviews. You can also avail our services for getting the old documents renewed.